The 2013 Heely Scholars have completed an exhibit in the Heely Reading Room of the Stephan Archives, showing off their research from last summer on Lawrentians in World War I. 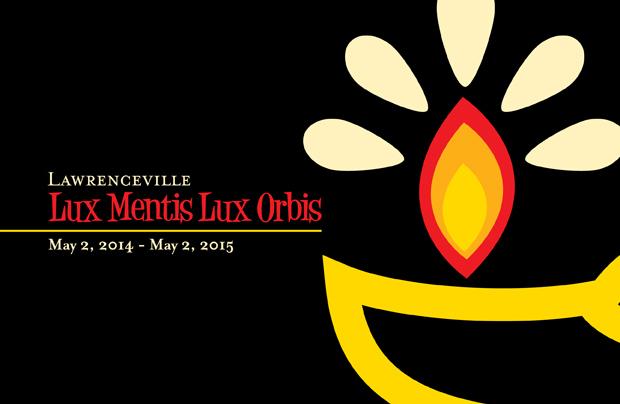 Read an article about the exhibit on the Lawrenceville School’s news feed. When it came time to renovate Pop Hall, Philadelphia-based architecture firm, Bohlin Cywinski Jackson, and donors Sue and Mortimer B. Fuller III ’60 P’89 ‘01, had a distinct vision for the interior of the building. The lower level would mimic the designs BCJ had created for Apple Stores nation-wide but the upper two floors would have Smithsonian worthy gallery-walls. By the spring of 2013, 16,752 square feet of wall space had been converted to host an exhibition on a scale never before seen at Lawrenceville…and I was charged with the task of filling it with something aesthetically pleasing yet relevant to both the student body and the educational purpose of the building. The prospect of creating a display of this magnitude was daunting. What could and should be placed on the walls? Chair of the Language Department, Helena Cunningham P’14, suggested that I use former Classics Master, Edward Robbins’ H’68 ’69 ’71 ’11 travel photography. Chief Financial and Operating Officer, Wes Brooks ’71 P’03 ’05, set up a meeting with Ed this past May to see if he would be willing to share his images with the School for an exhibition. Ed was thrilled that Lawrenceville would consider showcasing his work in the building where he taught for 48 years! Over the course of the next four weeks, he gave me copies of his entire portfolio which included nearly 15,000 images from across six continents taken over the span of four decades. 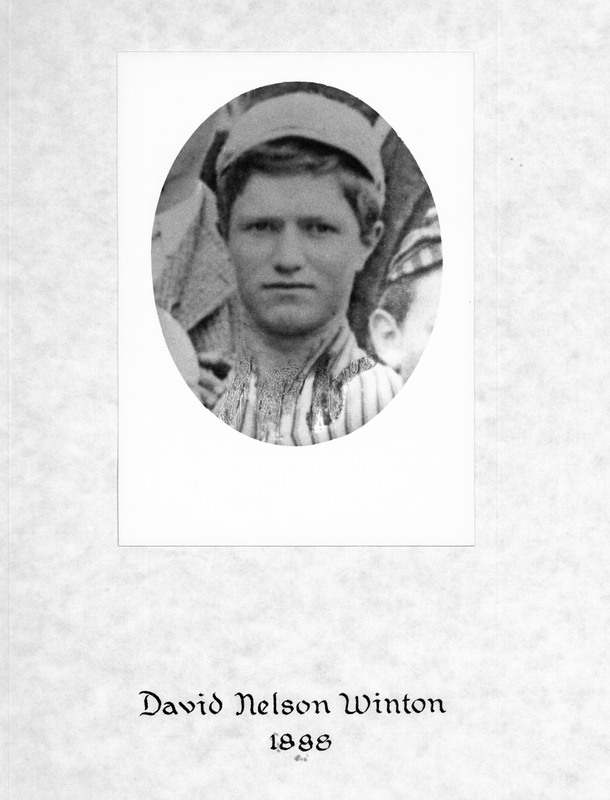 Ed’s work not only embodied the multicultural educational focus of the faculty in Pop Hall but several images were contemporary subjects to which the student body could easily relate. Even though I now had a body of artwork with which I could construct an exhibit, the fundamental question of how the display should be organized loomed ahead. Practical needs, however, took immediate precedence. As Project Archivist, Casey Babcock, retrieved and converted 7,000 digital images from Ed’s personal computer hard drives, I scoured hundreds of sheets of 35mm slides with a desk lamp for gallery worthy photographs with saturated colors, visible textures, and directional focal points. (When Casey’s work ended, I applied the same refined search to Ed’s digital images.) I narrowed down Ed’s portfolio of 15,000 images to a working group of 300 which I then shared with my colleague, Designer & Large Format Display Specialist, Christopher Saghy, at Kohn Creative. Chris and I then began the process of creating a digital layout of each of the 18 walls slated for the show. The digital layout allowed me to visually see how I could organize the exhibit through color, texture & shape even though the images had unrelated subject matters. It also allowed me to measure cable lengths for the School’s new gallery rail system by Arakawa. After several weeks of planning, Chris and I settled on 78 images which he then printed onto gatorboard and painstakingly wrapped for transport to Lawrenceville. Athletic bus driver, Dave Larson, and I retrieved the 78 printed images from Kohn Creative’s office in Maryland on October 3, 2013. Exhibition installation took place over the course of the next week. Each Arakawa gripper and cable had to be placed by hand onto the gatorboard prints. Archives Assistant, Maureen Kane, Associate Curator of the Hutchins Gallery, Lisa Giberson, Chief Financial & Operations Officer, Wes Brooks ‘ 71 P’03 ’05, his wife Kate, and Ed Robbins generously aided this endeavor. 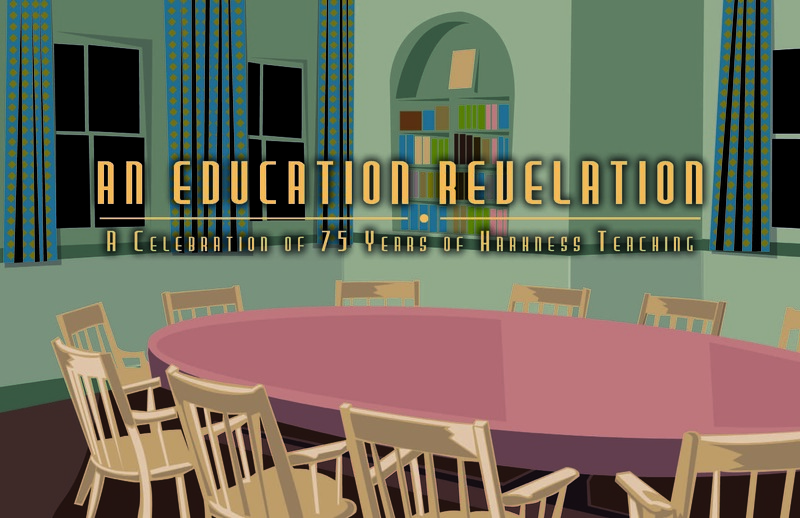 The exhibit debuted on Thursday, October 10th for the official dedication of the building. 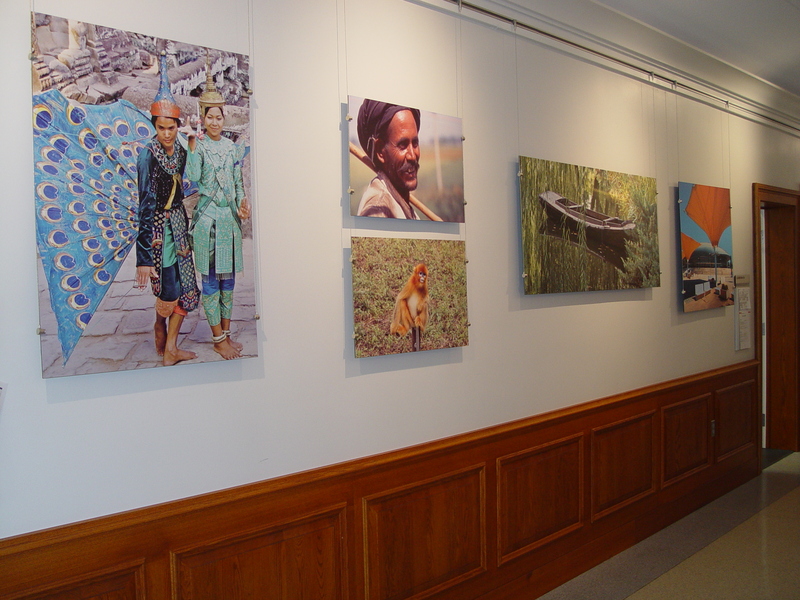 Students and faculty alike have marveled at Ed’s work and appreciate the scenes he has captured with his camera that depict cultures which they are academically exploring. Through the Lens: The Photography of Edward Arthur Robbins H’68 ’69 ’71 ’11 will be on display in the Fathers Building for the remaining academic year and is open to the community. Please come and visit! Coming to campus on Alumni Weekend, May 2-4, 2013? 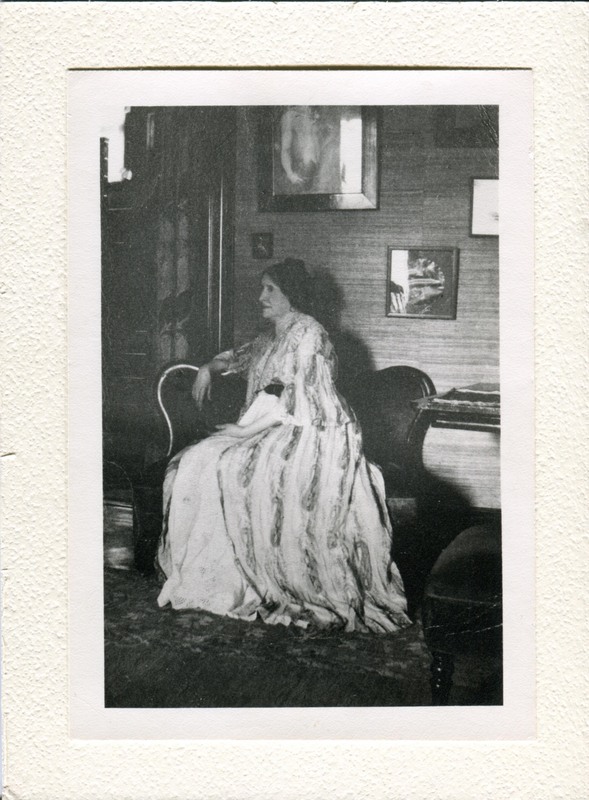 Check out what is going on in the Stephan Archives as part of your visit! 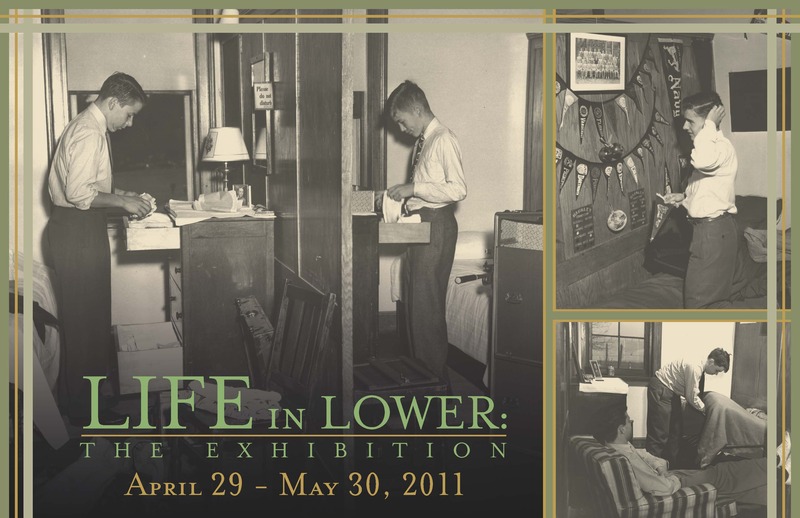 Due to popular demand, the Life in Old Lower exhibit, first displayed during Alumni Weekend 2011, will be on display again in the Bunn Library for Alumni Weekend 2013 and continuing through Memorial Day (May 27.) 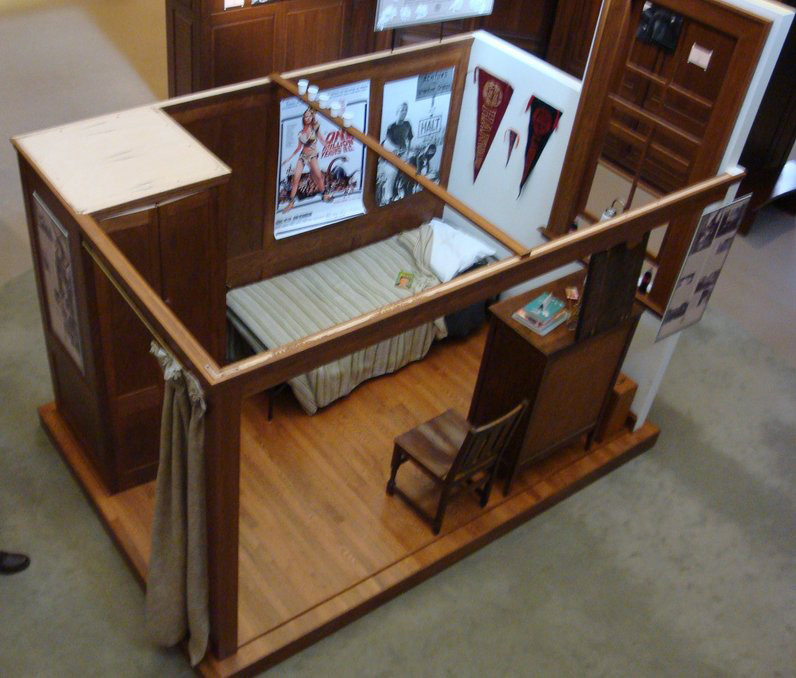 The exhibit features a life-size reconstructed Old Lower cubicle, decorated as it would have been in 1965. Located in the Main Lobby of the Bunn Library. The Stephan Archives are celebrating nearly two centuries of culinary excellence in “Now You’re Cooking! The History of Dining at Lawrenceville,” currently on display in the Stephan Archives reading room during regular library hours. Nearly 50 items will be on exhibit, including a century-old Tiffany & Co. tea set, locally produced china, a colonial-era glass bottle, and even a recently retired plastic cafeteria tray. Foodies will be especially fascinated by the Calliopean Society banquet menus, which date back to 1893 and feature such delights as terrapin soup, frozen nesselrode pudding, and consommé pritaniere. Through October 2013. 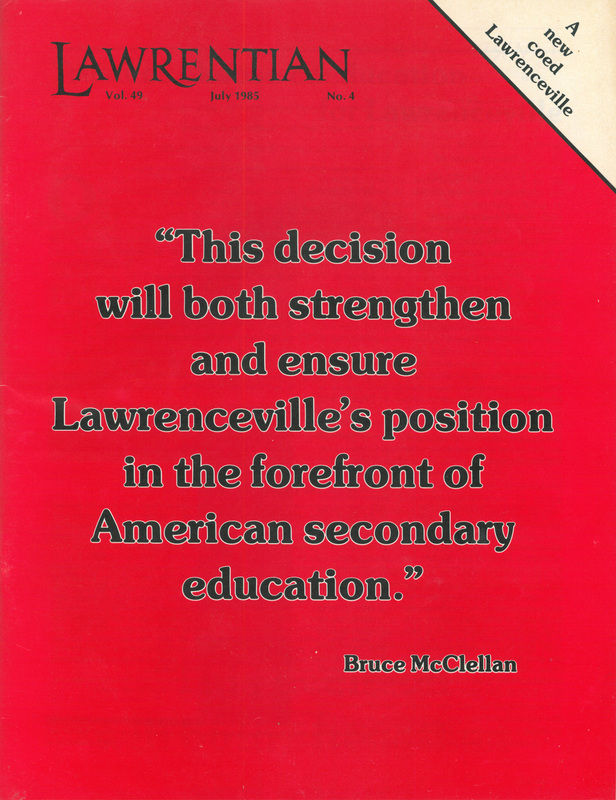 A visual timeline of the history of women on Lawrenceville’s campus before and after coeducation, Lawrenceville female “firsts,” and the story of the historic 1985 decision to accept female students. 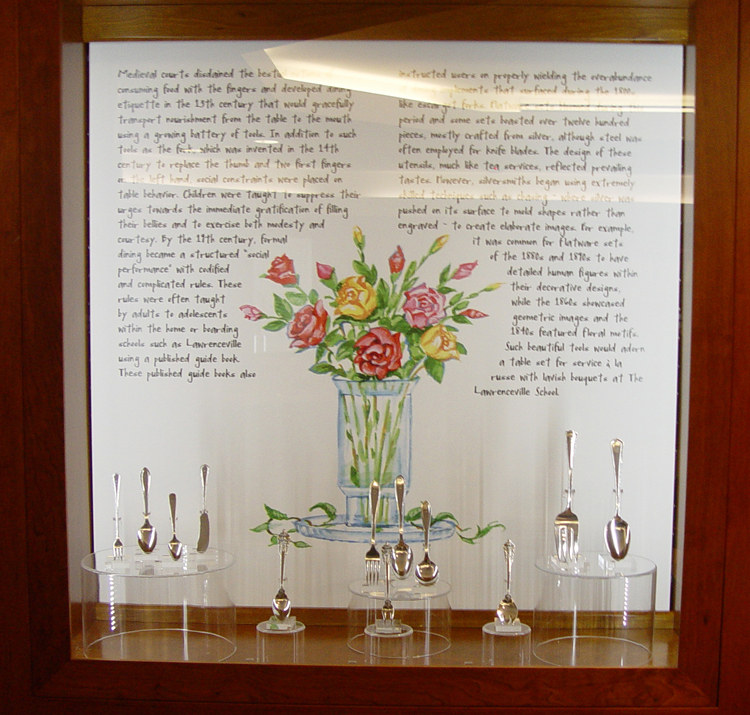 Located in the display cases in the Main Lobby and on the second floor of the Bunn Library, through July 1. 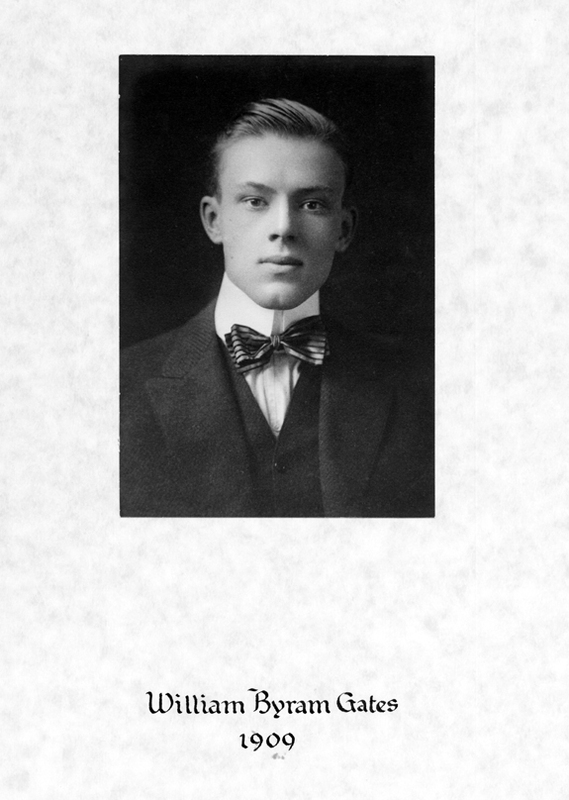 A rotating slide show featuring the School Presidents from the classes ending in 3s and 8s, located in the Archives Reading Room of the Stephan Archives. Through May 27. 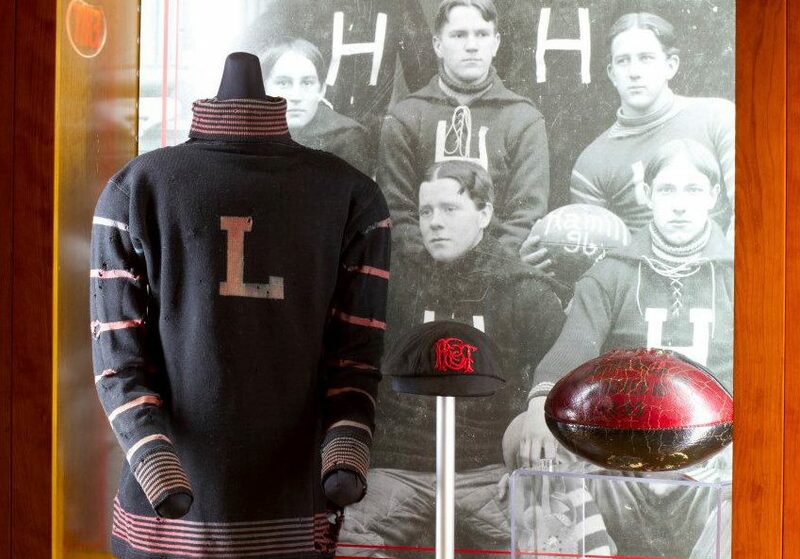 An exhibit of the School’s collection of Lincolnalia, including a lock of Abraham Lincoln’s hair in a mourning locket, a copy of the Lincoln-Douglas Debates, and other memorabilia from the family of Lucy Harmon McPherson, wife of Lawrenceville Head Master Simon J. McPherson. Only available through Alumni Weekend. An opportunity to see the new archives storage and exhibit spaces will take place on Saturday, May 4, from 2- 4 p.m. While visiting the renovated space, check out our demo of the newly digitized historical Lawrence at digitalarchives.lawrenceville.org.